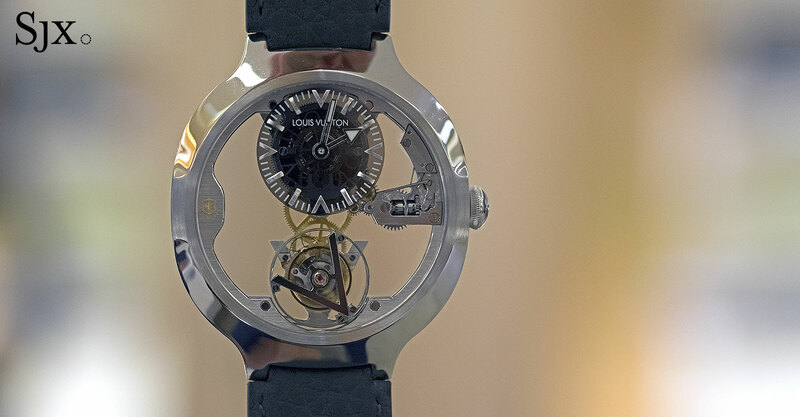 Equipped with a newly developed, skeleton tourbillon movement bearing the Geneva Seal, Louis Vuitton's latest high horology watch is reminiscent of 1970s classics. Louis Vuitton adds another feather to its cap with the new Flying Tourbillon Poinçon de Genève, its first wristwatch certified with the Genevan seal of quality. 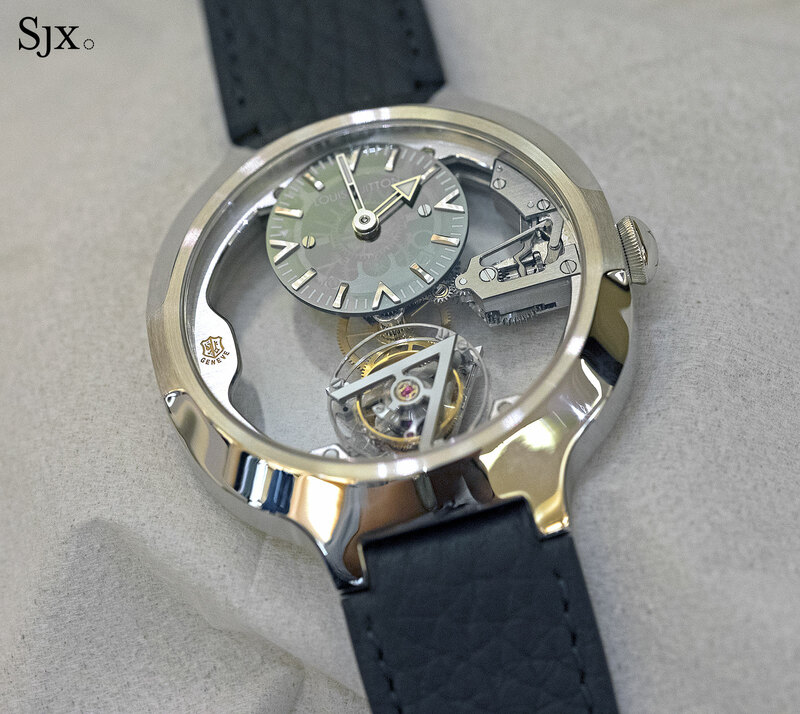 Developed and made in-house by the crack team at La Fabrique du Temps, the complications specialist acquired by the Parisian trunk maker in 2012, the movement inside is hand-wound, open-worked and equipped with a one-minute tourbillon regulator. An unfussy, beautiful form with elegant curves, the Flying Tourbillon Poinçon de Genève is extremely pricey but subtle on the wrist. In the hand the watch is delightfully hefty (being platinum), yet smooth and rounded. The design evokes landmark watch cases of the 1970s – Gerald Genta’s Nautilus for Patek Philippe readily comes to mind – being slightly ovoid in shape, with a flat bezel flared on each extreme (interestingly, the recent LV Fifty Five watch was also retro-inspired). While the case is characterised by simple lines, the contours are of the bezel are delicately formed, and the brushed finish is neatly applied. At 41 mm wide and 9.1 mm high, the watch is moderately sized and appears smaller than it is, despite the narrow leather strap. Clean and simple lines are echoed in the admirably compact skeleton movement, which has been conceived to show only the bare minimum. The time is shown on a dial at 12 o’clock made of tinted sapphire, concealing much of the gear train and the mainspring. There seems to be also nothing connecting the movement to the case, save for the keyless works for winding and setting that extend out at three o’clock. From the reverse the foundation of the movement is visible, with the main plate taking the form of a double “V”. 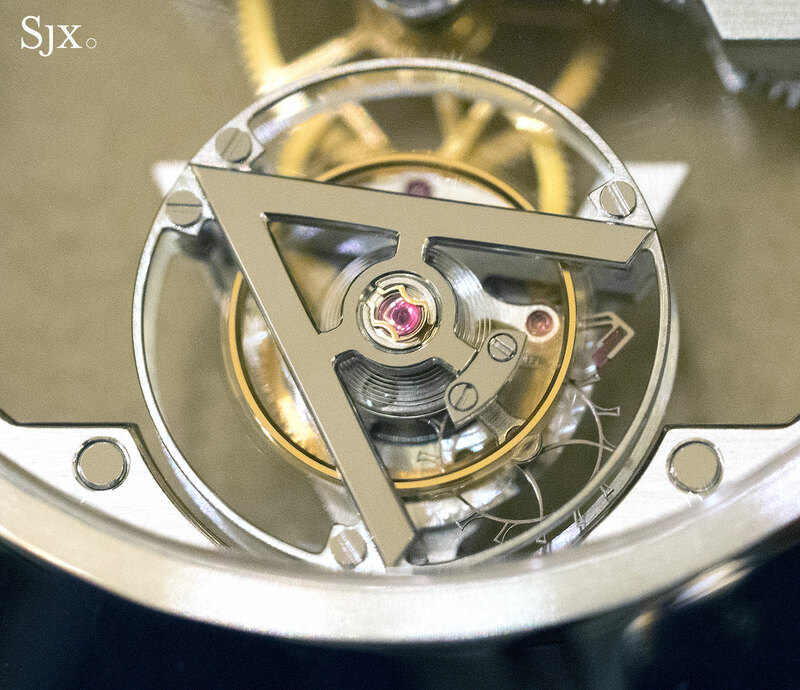 From here the layout of the movement is clear: the mainspring providing the power sits at the top, with energy transmitted via the gilded gears down to the tourbillon regulator at six o’clock. 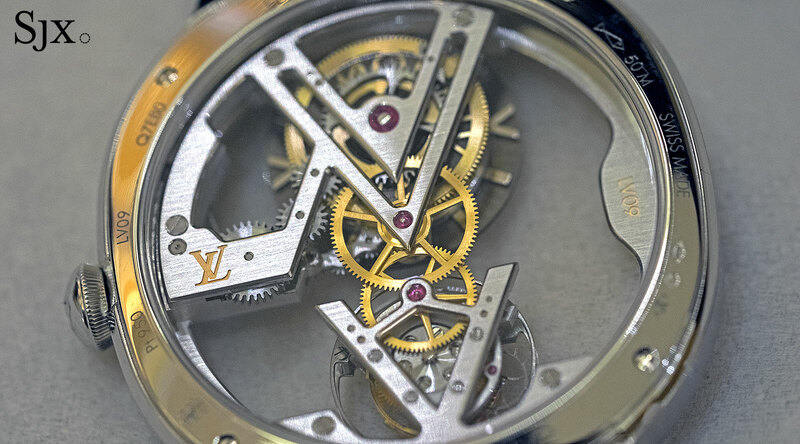 One notable detail is the skeletonised barrel cover that reads “Louis Vuitton”. 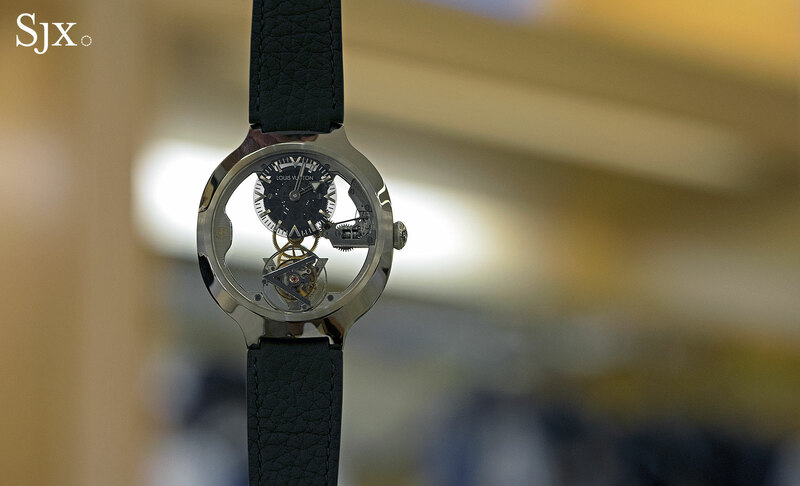 Stamped with the coat of arms of the Canton of Geneva at nine o’clock on the front, the movement meets the criteria laid out by the authority that governs the Poinçon de Genève, which translates as “Hallmark of Geneva” but more commonly known as the Geneva Seal. Also found on movements made by Chopard, Roger Dubuis and Vacheron Constantin, the Geneva Seal demands specific decorative and functional standards be met. Those include having polished pinions for the gears, while keeping time to within a minute after a week of simulated wear. The finishing of the movement is handsome and carefully done, though in a modern manner, with straight graining on most large components giving the calibre a streamlined look. The many edges of the skeleton bridges and plates have polished, bevelled edges (known as anglage) that are impressively executed, albeit minus the sharp inner angles in the corners that distinguish no-expense spared hand finishing. 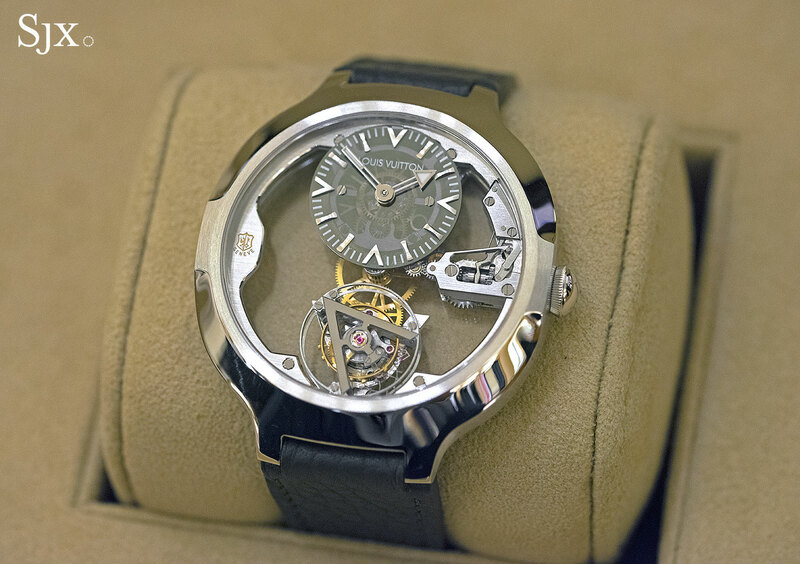 Pleasingly well designer and admirably executed, the Flying Tourbillon Poinçon de Genève is a tangibly excellent product. 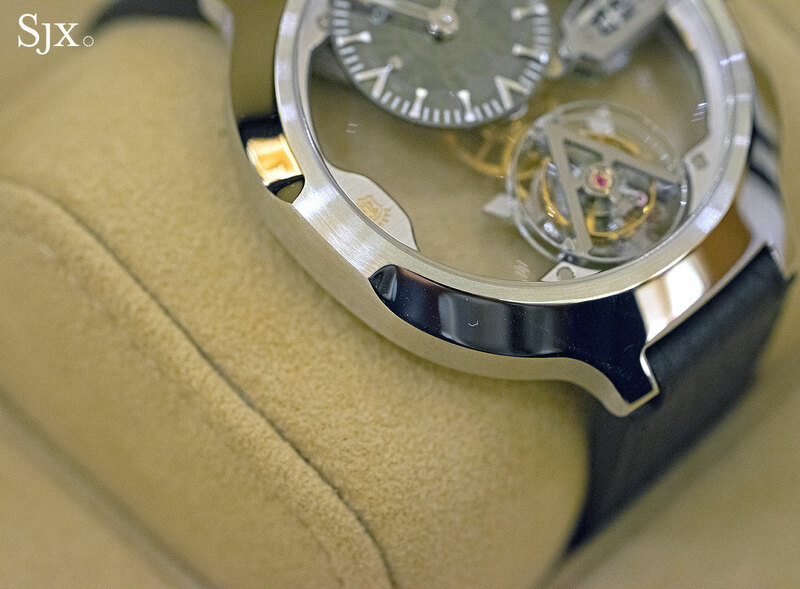 But it is expensive, priced the same as similar watches from established watchmakers. 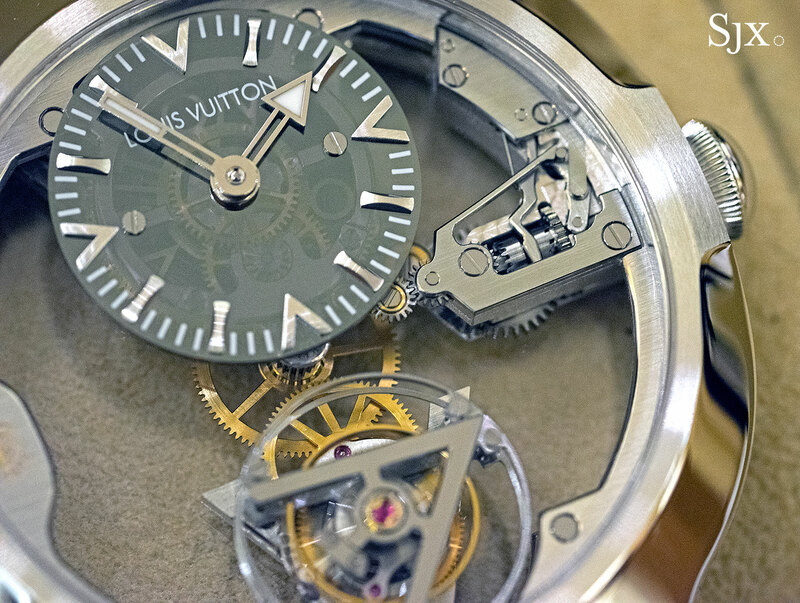 Being a recent arrival to watchmaking, Louis Vuitton is hard to stomach for a dyed in the wool traditionalist. 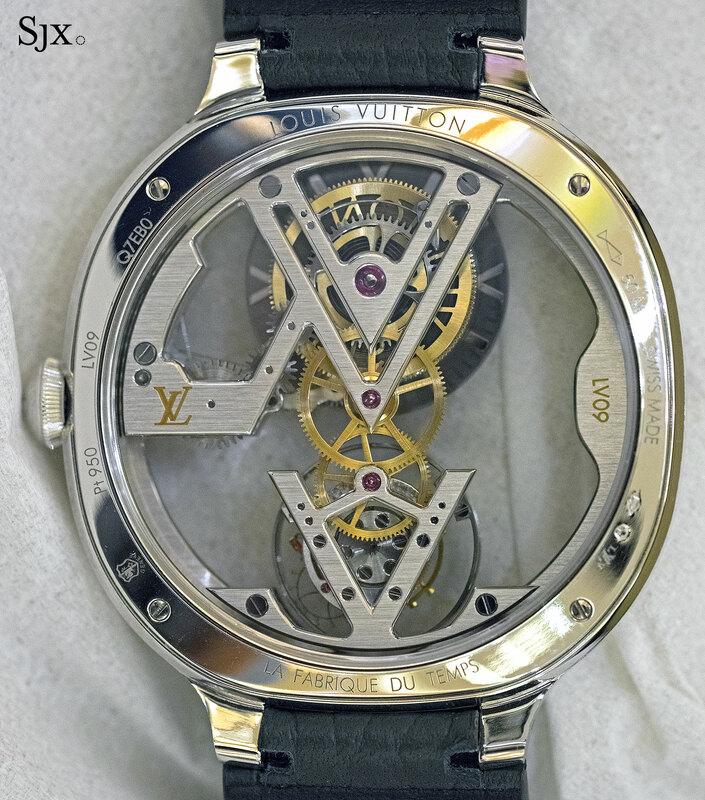 But the fact that Louis Vuitton can conceive of a watch like this means there are a lot more exciting things to come from its Geneva workshop – perhaps a more affordably priced wristwatch in the same case shape. 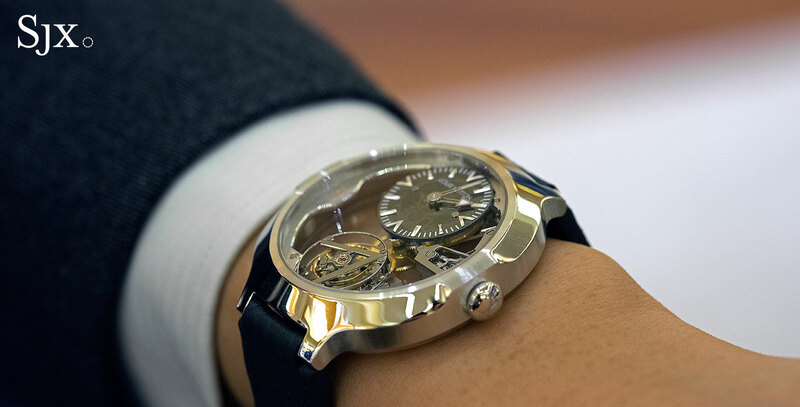 Made at a rate of about two a month, the Flying Tourbillon Poinçon de Genève is priced at US$234,000 or S$355,000, with deliveries starting now. Correction April 18, 2016: Retail prices in US and Singapore dollars updated. 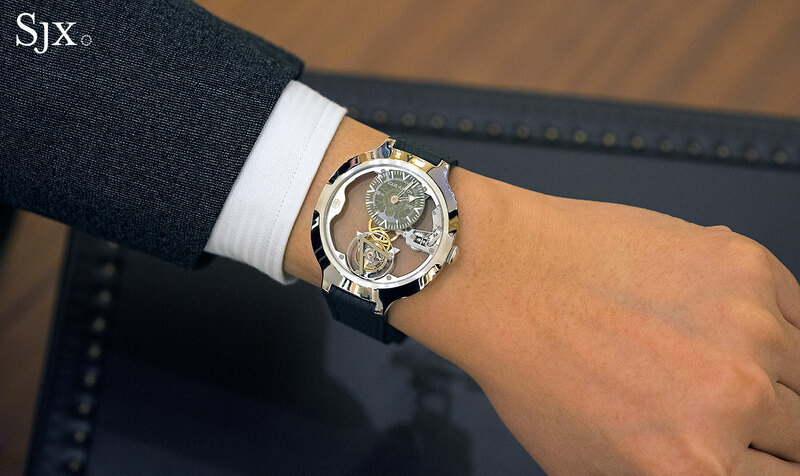 Equipped with a new skeletonised calibre, the Flying Tourbillon Poinçon de Genève is the first Louis Vuitton wristwatch to bear the Geneva quality hallmark.